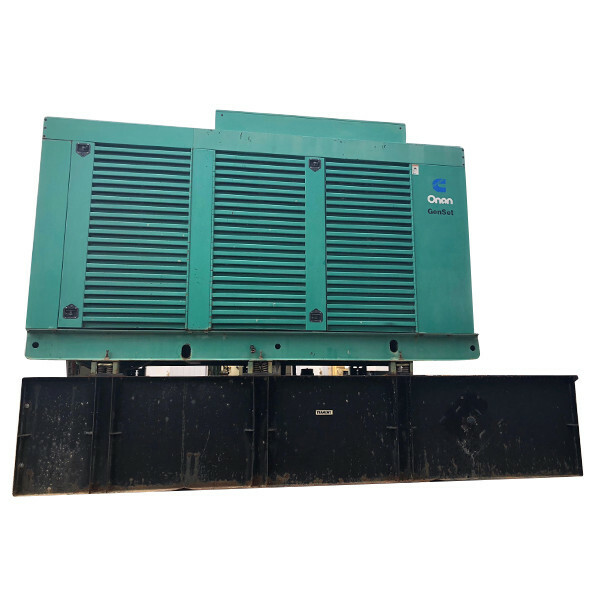 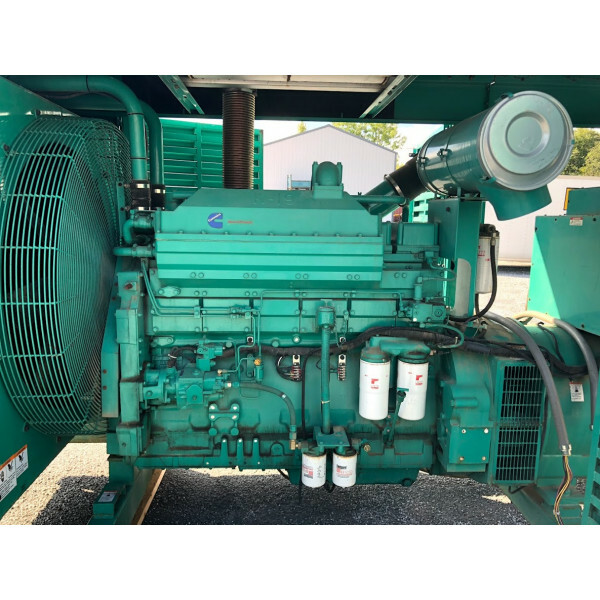 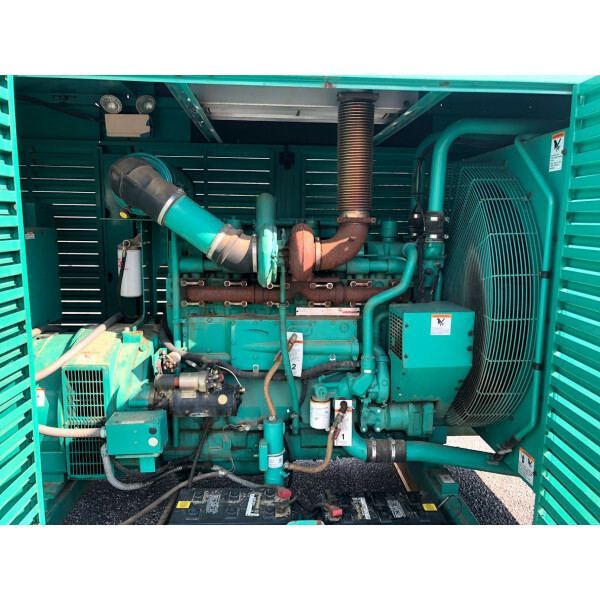 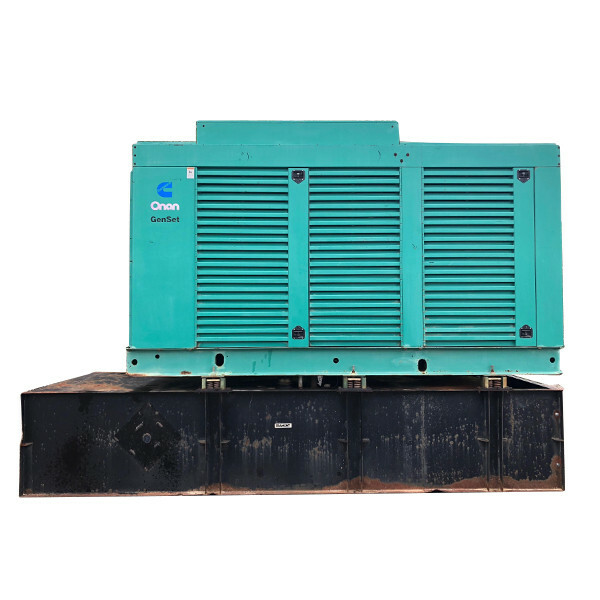 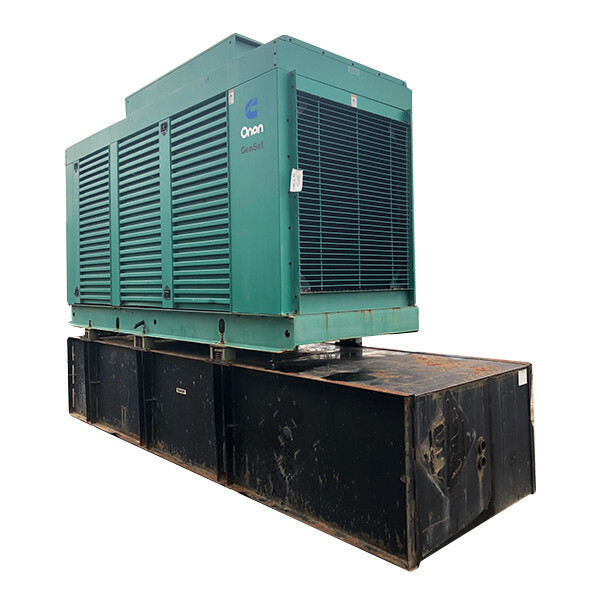 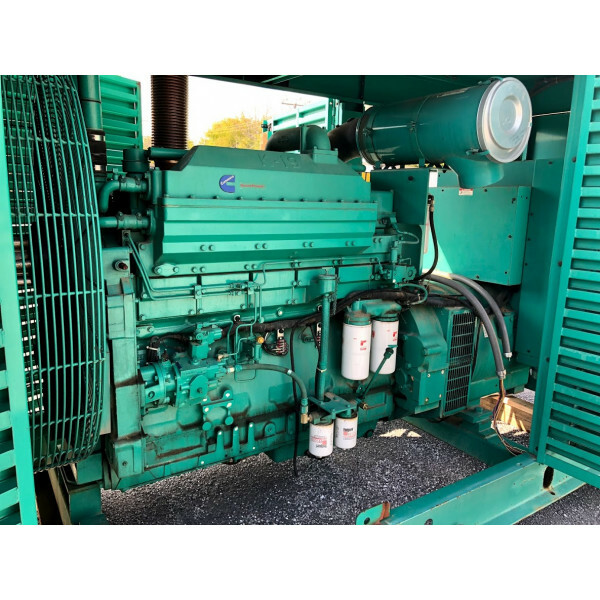 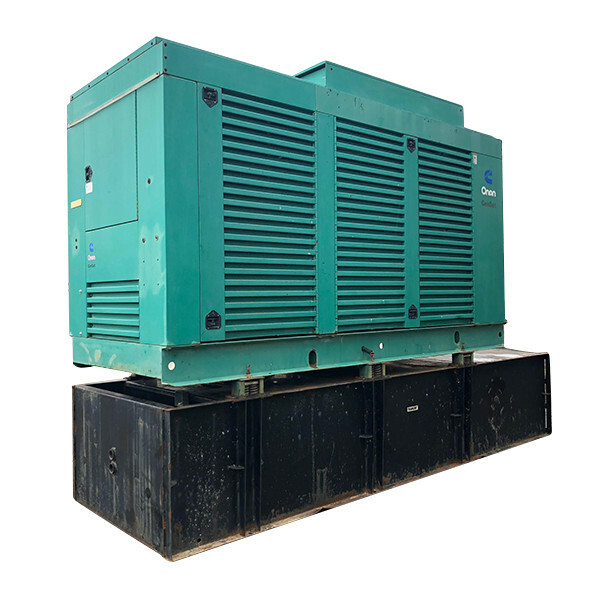 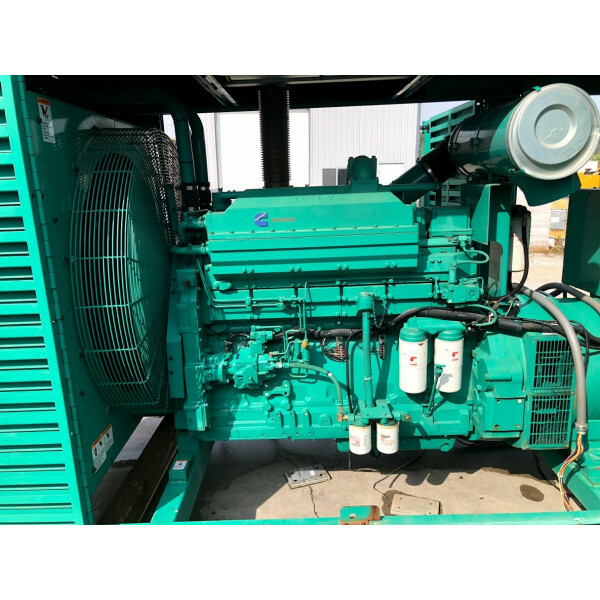 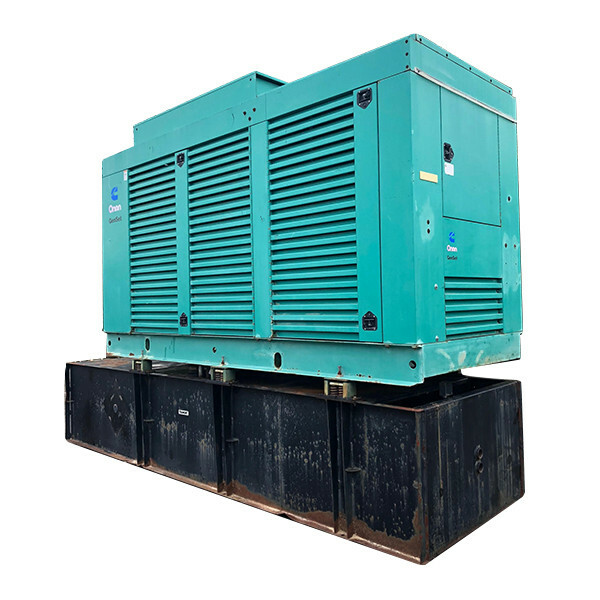 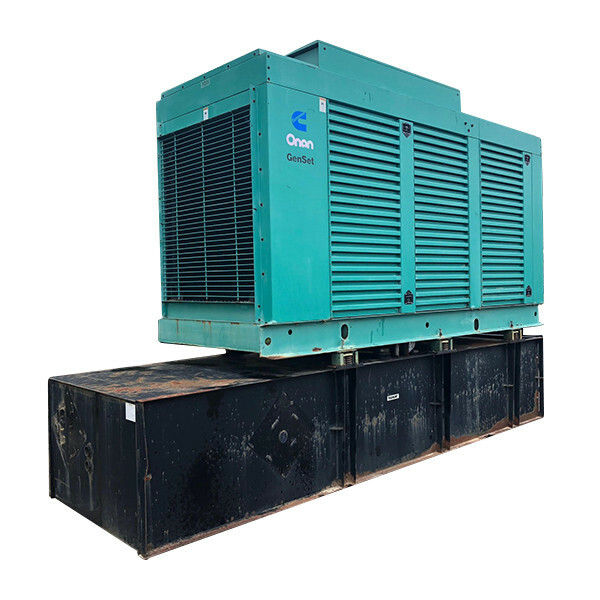 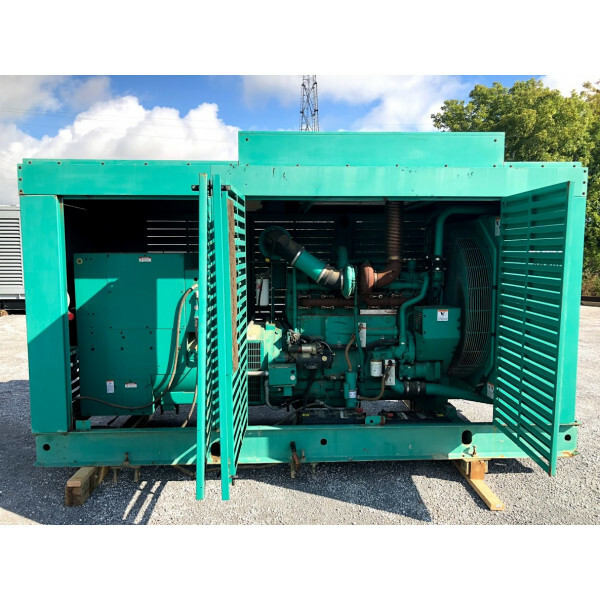 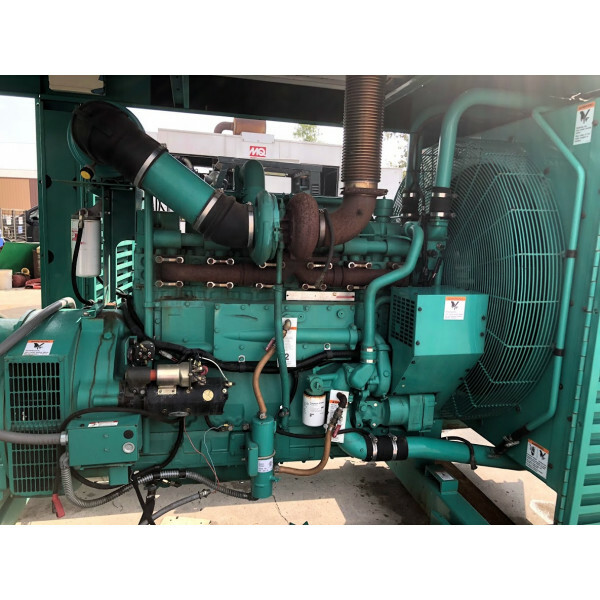 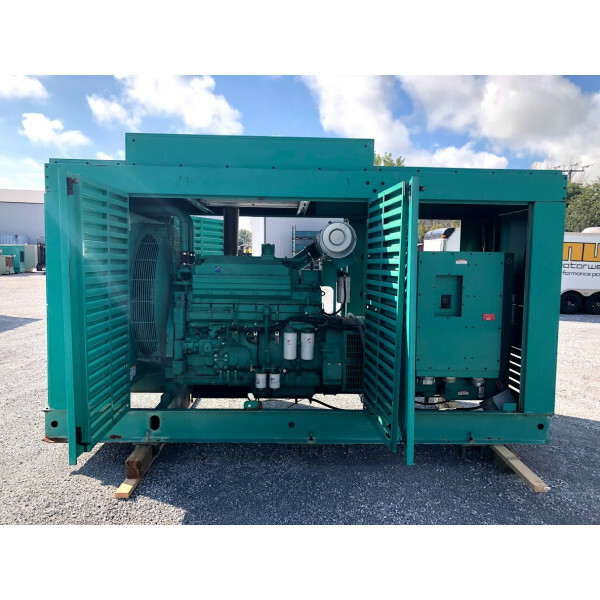 Check out this great looking 500 KW Cummins KTA-19 generator! 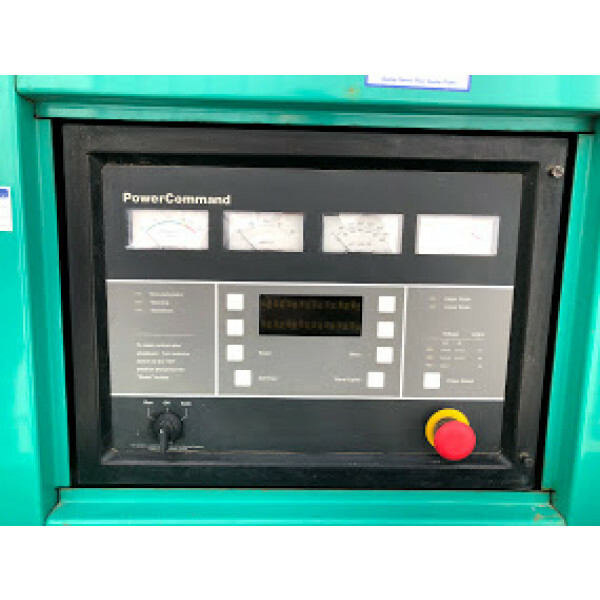 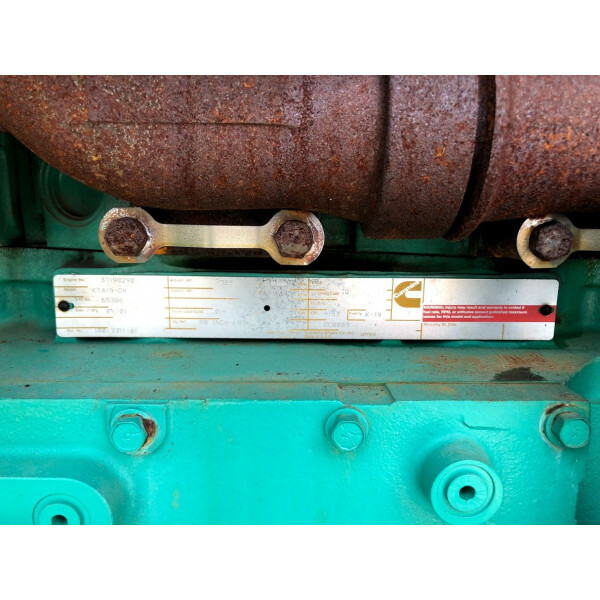 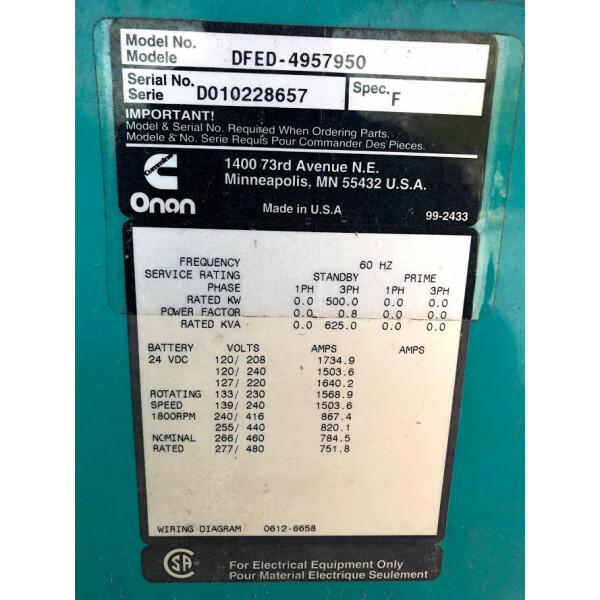 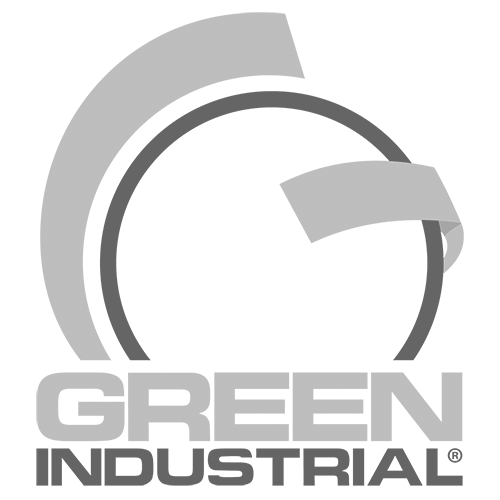 This machine was purchased by us at Green Industrial in great working order. 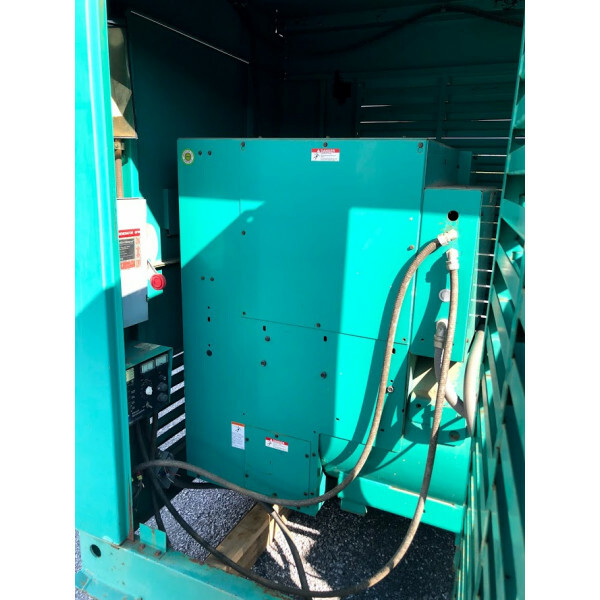 It comes with a weather proof enclosure, base mounted fuel tank and more! 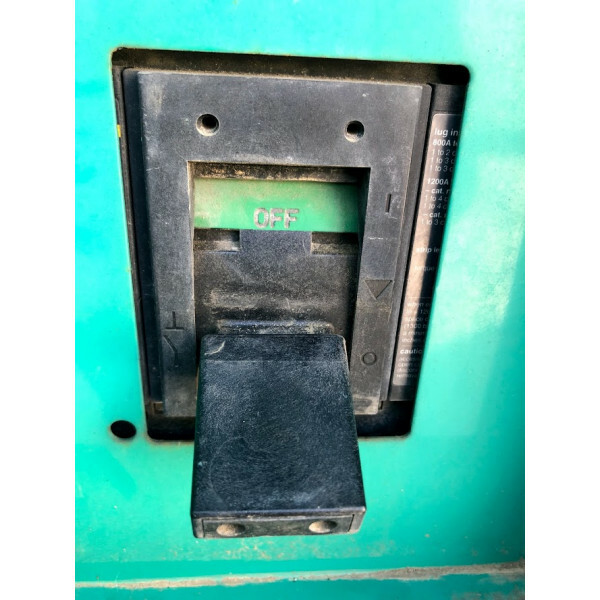 Get this one before it's gone! 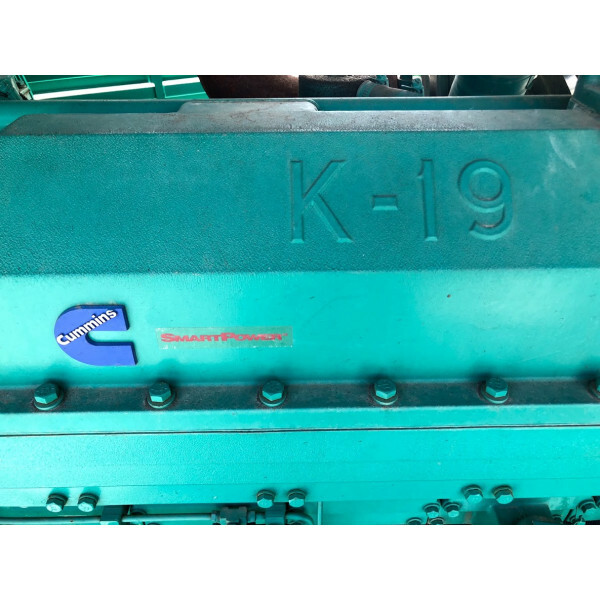 *Note, the base mounted fuel tank will be removed, as seen in the photos for shipping. 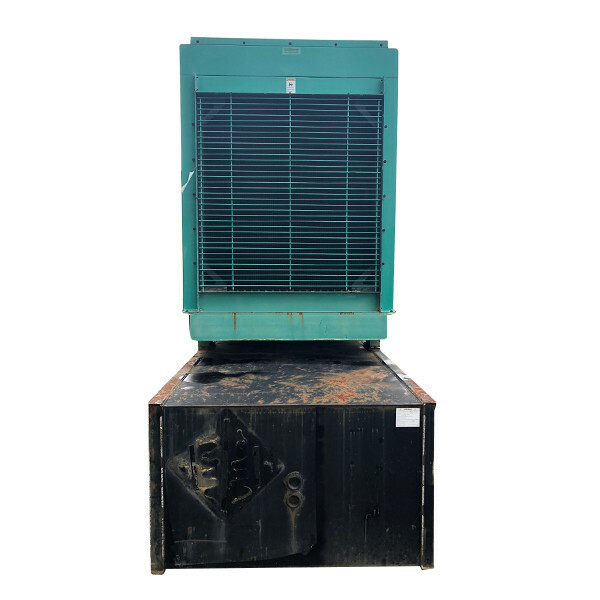 It will ship as two separate pieces to avoid additional shipping costs due to excessive height" Buyer to re-install upon delivery.